First up the free gift* doesn't come in a wash bag or anything like that, which is the only downside for me as I love receiving free beauty bags (you can never have too many right). However where the gift really shines for me is the fact that each product comes in a deluxe size, which is under the mandatory 100ml travel size but still contains enough product to truly get a good feel for how the product will work for you. Since discovering Clarins a few months back, I have been wanting to try more of their skincare items so this gift is perfectly timed. First up my personal favourite of the bunch, the Clarins Pure Melt Cleansing Gel 50ml. This is perfect for removing every trace of makeup effortlessly. It comes out of the tube in a gel texture but turns into an fine oil as soon as you start massaging it into the skin. Marula Oil is one of the main ingredients here so the cleanser doesn't strip skin of any moisture, which is great for my dehydrated skin. I love how silky it feels whilst I'm massaging it on my skin and best part is that it doesn't leave you with a super oily feeling, since it turns into a milky texture as soon as it comes into contact with water. I haven't used this to take my eye makeup off (not a fan of panda eye effect thank you very much) but for the rest of my face it works perfectly. Once I've rinsed this off I am left with a smooth and revitalised complexion. 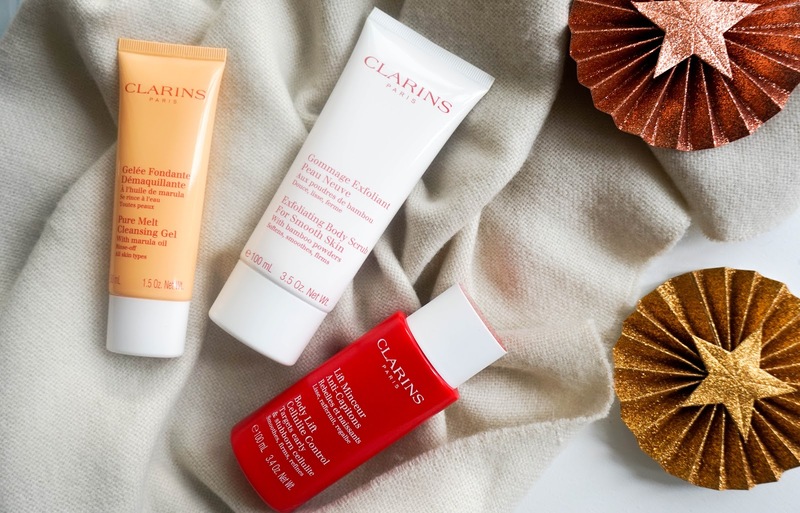 Then it's on to the first body product from the trio, the Clarins Exfoliating Body Scrub For Smooth Skin 100ml, which couldn't have come at a better time since I have run out of exfoliator. I've only had the chance to use this once so far (blame my Christmas laziness hanging around), but I had great results from the first try. I'm constantly trying out body scrubs but this is probably the most luxurious out of them all. Not sure if it's because of the main ingredient, Bamboo Powders, but it feels so luxe almost like a spa treatment and it leaves my skin feeling super soft. The finely milled exfoliating particles are part of creamy texture overall, so it's quite a gentle exfoliation and it kind of moisturises my skin at the same time. This is perfect for me because did I mention I get very lazy when it comes to body care. I'll have to continue to use this on a regular basis to make my mind up completely but so far so good. Last up is the Clarins Body Lift Cellulite Control 100ml, which is the only product that I am yet to make up my mind about. When it comes to getting rid of cellulite, I can get quite skeptical because I know that nothing will get rid of it completely not to mention that diet/exercise play a huge role too. I do believe that by using a treatment like this religiously along with massaging it into the skin the right way (Clarins even have a video recommending their anti-cellulite self massage whilst using the product which is worth looking into) along with living a healthy lifestyle will certainly help reduce cellulite and prevent it from getting worse. The gel like texture is absorbed into the skin instantly, which I love because ain't nobody got time for hanging around in their birthday suits. As soon as it sinks in your skin, it has an almost cooling tingling sensation and immediately feels a little bit firmer, so it's great to see some sort of results within the first application. Wether or not this will improve my cellulite, depends on me using it on a daily basis (as recommended) and my lifestyle. It also takes more than just one application to see results, hence why I can't give you my final verdict. So that brings my review to an end and I can definitely say that it's been a positive one. 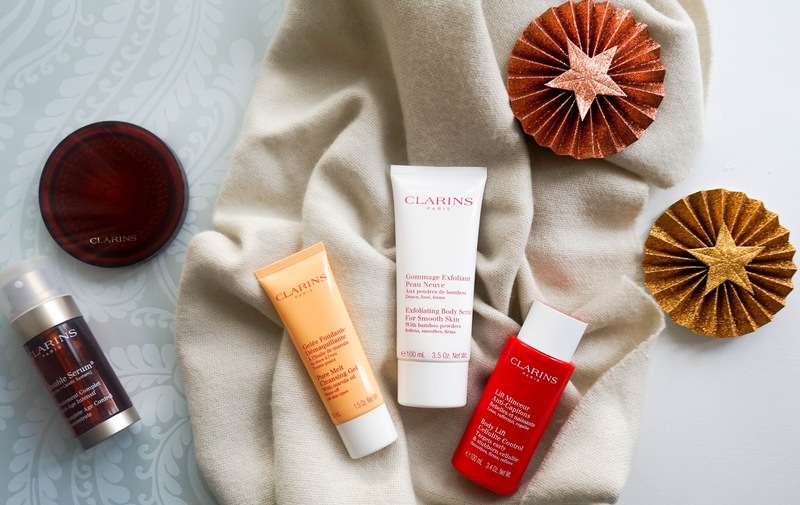 Clarins have managed to keep me pleasantly surprised and if you're planning on a little treat yourself splurge, than I recommend getting yourself to a Clarins counter to avail of this great offer which is exclusive in Debenhams at the moment. 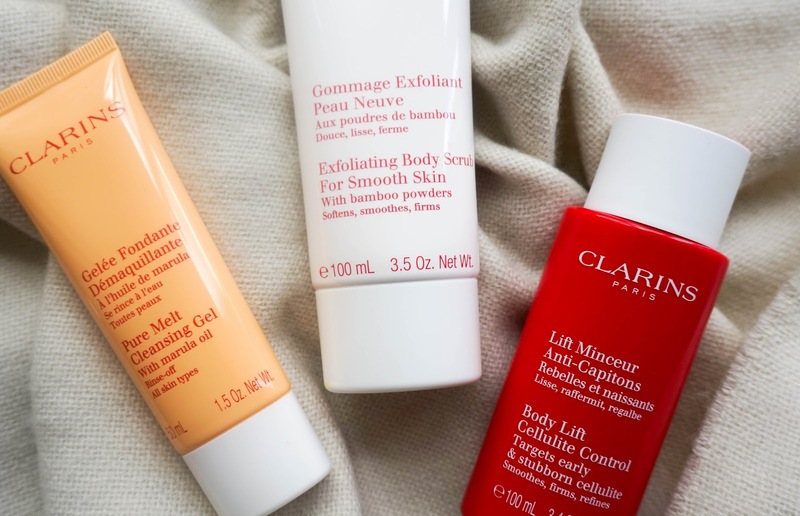 Until then I would love to hear what your favourite Clarins product is whether it may be skincare or makeup?